Extract emails from PST file without Outlook installation on the local machine. Easily Convert Outlook PST Files to Text, RTF, MHT,HTML, Docx & Doc format. Provide a preview of PST file data like emails, contacts, notes, calendars, etc. Advance scan option to repair corrupt or damaged Outlook PST File. With the help of this Outlook PST converter software, a user is allowed to export multiple data items from PST file in batch. It includes all items such as emails, notes, contacts, tasks, etc., to multiple file formats, which can easily be accessed somewhere else accordingly. The PST to EML file converter tool provides users an option to import PST file to EML format, which is easily supported by email applications like Windows Live Mail, Outlook Express etc. On the other hand, this PST to MSG Converter tool export Outlook emails to MSG format and permit users to move MSG to any Outlook profile. In order to perform PST to PDF migration in a best possible way, a user can simply use this PST to PDF Converter software. 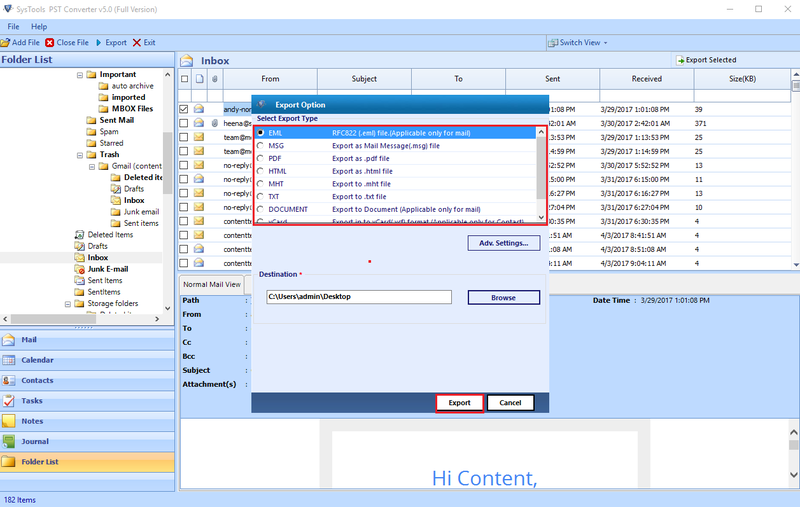 This tool make it easy for the users to convert Outlook emails to PDF with attachments associated with each email. In addition, a user can export email header also by checking or unchecking the header option accordingly. The PST to vCard converter tool also provides users an option to convert all Outlook PST contacts to VCF format. 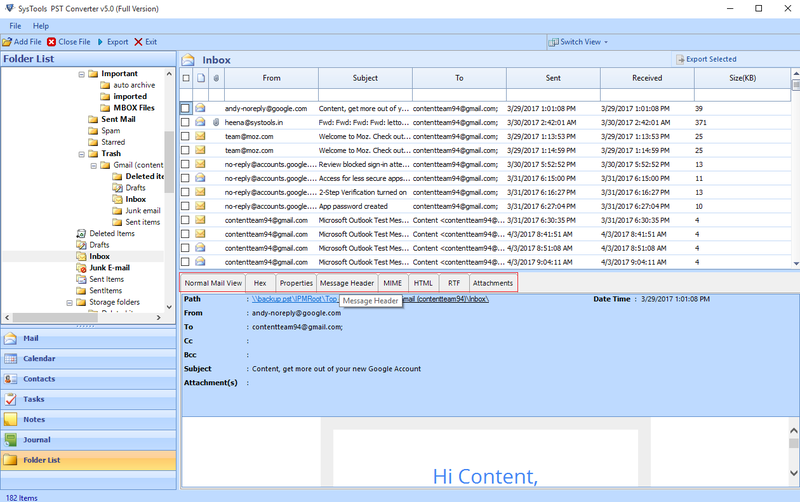 Using this feature it becomes easy for the users to access Outlook contacts somewhere else as vCard is supported by various other email application also. In addition, the tool will create a single vCard for all the contacts of PST file. To export selective data items from PST file, a user can go for this best PST to EML Converter software without any limitation. In order to convert selective data from PST file, a user can check that particular item and the tool will export only that to desired format. Otherwise, it convert all items stored in Outlook mailbox in batch. As a user add Outlook PST file, the tool will scan the data stored in PST file and generates an instant preview of all folders present in it. To view any data or file, a user simply needs to click on it, an instant preview of it is generated instantly. One can view all attributes also associated with data. For example, subject, date, start, end, categories, email addresses, etc. While converting PST file to EML/ MSG/ PDF/ vCard format, the tool provides users an option to save the file by choosing an appropriate file naming convention. By default, the tool saves each file by the subject of email but a user can change naming pattern to Subject +Date (DD-MM-YY), etc. 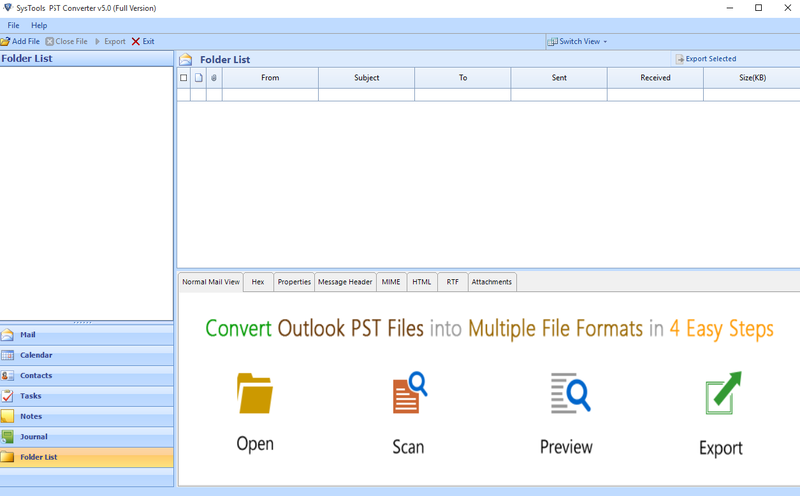 With the help of this PST to PDF Converter, a user can export selective emails also from Outlook PST file. This date-based filter option provides users an option to do the same. A user can specify the desired date range in "from" and "to" field and the tool will export only that emails to a particular format. The Outlook PST Converter software scan and loads the items along with their properties. But, if a user wants can rearrange all of them with their associated properties. For example, to, size, date, from, full name, etc., in either ascending or descending order. 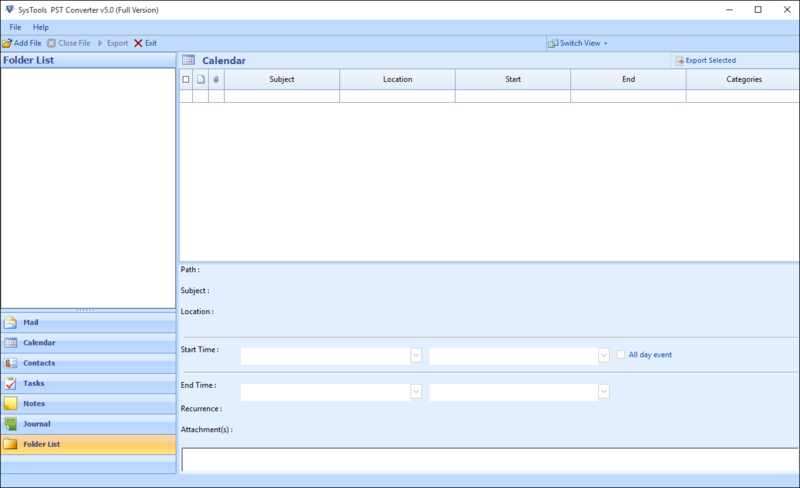 Moreover, a user can easily use this application because the GUI of the tool is similar to MS Outlook. Trial version of PST Converter tool preview PST Emails & export 25 items per folder. Support: Windows 10 & 8 all below versions of Windows. Does the software export all attachments also while performing PST to PDF Conversion? Yes, export PST emails along with attachments to PDF format without any issue. Is it necessary to have MS Outlook application installed on the local machine to perform PST to MSG migration? Yes, the PST Converter software export orphan, corrupt or damaged PST file to EML/ vCard/ MSG/ PDF format. Does the Microsoft PST to EML Converter export orphan PST file also? No, it is not mandatory to have Outlook on the local machine to move Outlook PST to MSG format. Is there any 2 GB PST file size limitation impose the software? No, the software does not have 2 GB PST file size limitation during and after migration. Can I use this application on Microsoft Windows 10 OS? Yes, a user can easily install and run this application on MS Windows 10 and all below versions. Does the software preserve folder structure even after Outlook PST file conversion? Yes, the PST to PDF Converter tool maintains folder hierarchy even after PST to PDF Conversion. A Single tool with so many features is hard to imagine but thanks to PST Converter developing this for a user like me. I export all my emails from PST to PDF format with the help of the tool in just a few number of clicks. According to me, it is a great development for your side. Keep it up!! I was looking for the tool that export PST data items to EML format in batch. After a long search, I came to know about this PST to EML Converter tool. I must say it is an amazing utility that I have tried ever. Thanks to the developer for such a great utility.